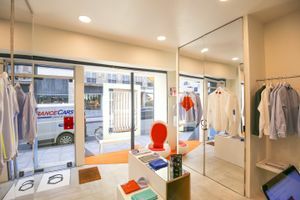 This brand new 30 sq m shop close to Filles du Calvaire is perfect for pop-up stores, ready-to-wear and accessories retail. This shop is finished to a very high standard and is in excellent condition. The modern interiors or white and cream with mirrors and digitally printed wallpapers create a futuristic and sophisticated atmosphere. 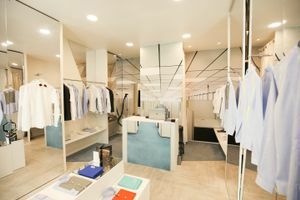 There are a range of display options including garment racks and counters and the store is well facilitated for fashion retail. 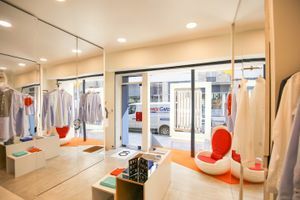 Surrounded by popular retailers, art galleries and in an area popular with shoppers and tourists alike, this shop is a great place for brands to gain exposure in a busy environment.